“Can I drive?” she asked, jogging to the driver’s side. “We’ve already discussed this. You’re not allowed behind the wheel until that thing comes off your leg.” She nodded toward the clunky black box strapped around Briar’s ankle. “Don’t argue. Get in.” Her mother aimed the key fob at the car. Briar drudged around to the passenger side and climbed in, the headachy, sweet scent of floral air freshener hitting her between the eyes. The little boy’s face had crumpled as he’d told her he wanted his dad back. She’d known how to make him feel better but had swallowed the comforting Bible verse on her tongue—one of many passages her grandmother had taught her as a child—and put on the silly wig instead. Blue hair was acceptable. Reciting Scripture would get her arrested. Sharing Christian faith was illegal by law of The Commandment. The crime carried an even stiffer penalty than skipping a SAP injection or disabling a fleshcard. Her mom flicked her gaze to the little stuffed lamb dangling from the metal ring. “For goodness sake, Briar, need I remind you that you have graduated from high school? You are far too old for stuffed animals and playing dress up.” She glanced over her shoulder and backed from the driveway, her mouth a tight pucker. “It’s time for you to grow up.” She snatched her oversized sunglasses from the dash and shoved them onto her face. “Not good advice to give someone majoring in child psychology, Mom. I actually want to be able to relate to the kids I’ll be working with face-to-face each day.” She picked up the stuffed toy handmade by her grandmother and shined its button eyes on her t-shirt. “Make that face-to-screen, in my case,” she muttered. Operation Level Ground maintained a no-tolerance policy when it came to Christianity, and everyone knew it. The organization had long ago integrated the United States Postal Service, and now they owned cyberspace. OLG surveilled every email, video stream, blog, social media site, text message, phone call, and all other means of electronic communication known to man, to ensure nothing slipped past. “Don’t get smart with me.” Her mother slid a hand from the wheel and pulled her sunglasses to the tip of her nose, throwing Briar a sharp look over the frames. Briar smirked and tucked the lamb keychain into her bag. She lowered her gaze to the black box on her ankle. If by some chance her brain did accept the SAP injection, she’d be loose of the ankle monitor; but in turn, a fleshcard would be implanted in the back of her left hand to make sure her SAP level never dropped below the mandated amount. She shuddered. The thought of a chip being shoved under her skin set her nerves on edge. The beep of an alarm filled the car. Briar glanced at the red light flashing on the ankle monitor and released a frustrated sigh. Her mom had forgotten to inform the OLG of her trip to the clinic. “Dig the receiver out of my purse and text your appointment information to OLG headquarters.” Her mother pushed the designer bag toward her. Dig. Definitely the right word. Briar poked around in the overstuffed purse, finally pulling out a phone—the wrong one. She needed the government issued receiver, not her mom’s personal cell. Why her mother insisted on holding onto that rigid old dumbphone instead of getting a cuffphone like the rest of modern civilization was beyond her. Briar tossed the thing back inside and then fondled it three more times before fishing out the right device. “Booster?” she asked, keying in her I.D. number. “No. Recheck,” her mom answered. Briar texted “recheck” to the headquarters’ pre-programmed number. In a few seconds, the phone chimed. “That’s the code.” She unhooked her seatbelt, leaned down, and entered the digits into the ankle monitor’s keypad. A twenty-minute timer appeared on the screen, the blue numbers immediately counting down the seconds. Briar pressed her lips together, fighting a grin. Nineteen minutes later, her mother pulled into the parking lot of Greenfield Medical Center. “There’s a good one.” Briar pointed through the windshield at a space near the front of the building. Her mother eased the car between the yellow lines and killed the engine. “Right on time,” she said, glancing at Briar’s zeroed-out ankle monitor. Briar scanned the waiting room, settling on a pair of padded chairs against the far wall. After a moment, her mother joined her. “No, thank you,” her mother said, continuing to ransack her bag. “Briar Lee.” A pretty woman in blue scrubs that Briar recognized as Nurse Sheila held open the door that led to the exam rooms. Giving up the hunt for lipstick, Briar’s mother stood and walked with her. Her mother took the device and tossed it into her purse. A younger woman with yellow scrubs and a dark, messy-on-purpose bun met them in the small corridor. “Fine with me.” Briar smiled and shrugged. “Of course, it’s fine,” her mother said as Nurse Sheila led them into a room containing an exam table and two chairs. Familiar with the routine, Briar hopped onto the table as her mother chose the nearest chair. “Guess we came at a good time. That’s the shortest stint we’ve ever experienced in the waiting room.” She inhaled the disinfectant scented air, glad to rid her sinuses of Mom’s cherry blossom car deodorizer. 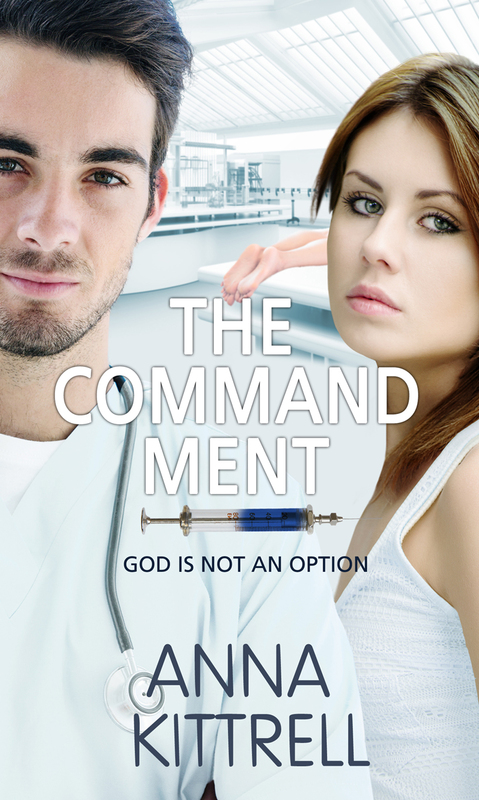 Briar held up her foot to the nurse, who unlocked the monitor and typed a code onto the keypad. “Do you have the receiver?” she asked, lowering Briar’s foot before positioning the monitor on the counter next to a device port. “Briar?” Her mother raised an eyebrow. “For Pete’s sake.” Her mother dove into the bag again, shaking her head. She excavated the device and the nurse settled it onto the dock. Briar tried to ignore the invisible kick to her gut. What Megan was saying—without actually saying it—was that SAP was very well received by the human body. Normal people responded to the serum at birth. Very rarely did a child remain unresponsive by the age of two. To remain unresponsive, or unlevel, as OLG liked to call it, into almost-adulthood was nearly unheard of—entirely unheard of in Greenfield, Oklahoma. Yet there she sat on the exam table. “The OLG headquarters are alerted if the monitor travels outside the electronic receiver’s range.” Sheila pointed to the device on the dock. “The radius is a hundred and fifty feet, about half a football field.” She opened a metal cabinet filled with neatly folded hospital gowns and chose a light blue one from the shelf labeled “medium.” She handed the gown to Briar. “In other words, Briar and her mother are very close.” She winked and patted Briar’s arm. “I’m SAP-less, remember?” Briar answered, unfolding the gown.